At least 60 people have been killed at a prison in Manaus, a city in the Brazilian Amazon, in one of the bloodiest riots in recent years, according to officials. The riot at the Complex Penitentiary Anísio Jobim (COMPAJ) began on Sunday afternoon and lasted around 17 hours until approximately 8:40 am local time Monday morning, when authorities successfully negotiated the release of the remaining hostages and the surrender of the mutinous prisoners, according to Brazilian media. During the riot, twelve prison officers were taken hostage, while the severed heads of six prisoners were thrown over the penitentiary walls, reports say. At least 60 inmates are reported to have been killed, and the death toll could rise as authorities search the facility. So far, four pistols, a 12-caliber rifle and improvised weapons have been seized, reports suggest. 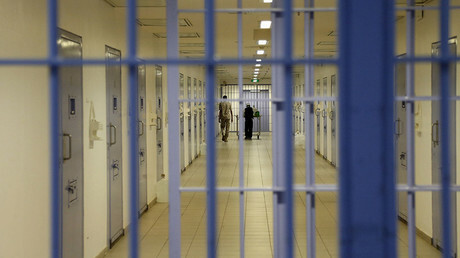 The Order of Attorneys of Brazil also told the news portal G1 that over 130 prisoners used the unrest to escape. Anxious relatives waited outside and prayed for the safety of their loved ones. Luís Carlos Valois, a judge at the Amazonas Court of Justice and spokesman for Law Enforcement Against Prohibition, was in COMPAJ at the time and described what he saw. Valois helped to negotiate with the prisoners and ensured the safe release of the hostages. The uprising began as a clash between the Sao Paulo-based First Command of the Capital (PCC), Brazil’s largest organized crime group, and a local gang known as the North Family. Allegedly, the North Family attacked members of the PCC on behalf of the Red Command, a powerful drug syndicate from Rio de Janeiro. PCC and Red Command were observing a truce which broke down last year, leading to a series of violent clashes. 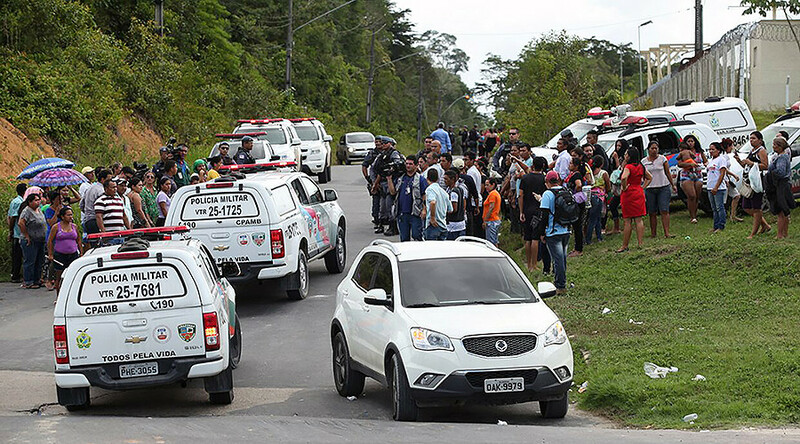 This latest massacre is the deadliest in the state of Amazonas, and one of the worst incidents since 1992, when over a hundred inmates were shot dead by police during a riot in Sao Paulo. Earlier on Sunday, around 100 inmates escaped from a facility in the same prison complex, with one even pausing to take a selfie. Riots are common in Brazil’s overcrowded prison system, where violence and disease are rife. COPJE prison, built to house 454 inmates, at the time of the riot held 1,224. Brazil has the fourth-largest prison population in the world after Russia, China and the United States, providing a fertile recruitment ground for gangs. Over the course of five days in May 2006, members of the PCC shot at police, bombed buildings and torched buses in response to the authorities moving a group of incarcerated kingpins to another facility.